Grace: In Christ we have received “grace upon grace” as John tells us (John 1:16). Unearned and totally underserving love from God. And God doesn’t just provide grace to justify you, he provides grace to sanctify you and bring you all the way home, safely into his heavenly kingdom, and that’s a comforting thought. Forgiveness: This is such a beautiful spiritual blessing because it leads to all the others. To be forgiven leads to a right relationship with our Creator, which is the very source of true joy, and because we have his forgiveness, we can give forgiveness to those who wrong us. We have been given a vertical forgiveness from God and now we can give a horizontal forgiveness to our neighbor, and this is a great spiritual blessing. Prayer: Anyone can pray to God but does God respond in the same way to everyone? Christ has said, “no one comes to the Father but by me (John 14:6).” Those in Christ can pray to the Father and know that because their sin has been dealt with God wants to have dealings with them. God is not just love, he is “holy, holy, holy” as the angels cry. 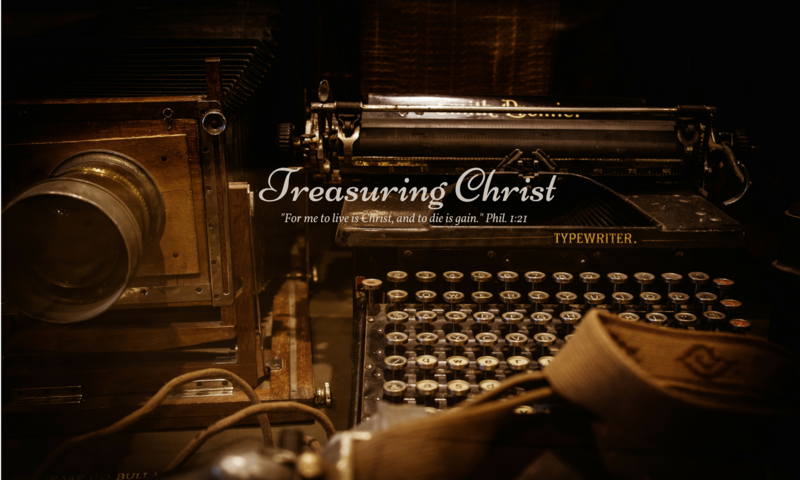 Prayer in it’s true form is a great spiritual gift like a spiritual treasure chest. Through the practice of it we come to find a world of wonder and joy which can be explored for a lifetime and still there are treasures yet to be found. This list could continue on, but the above four are a good start to anyone wanting to know more of and grip onto the spiritual blessings they have access to in Christ at all times in the heavenly places. A few more to list are joy, hope, love, unity, and truth. Importantly, these aren’t just blessings that we have been given and now leave on the shelf, they are blessings we have been given to drink throughout our lives. We should treat them like water that we need daily, not like a vacation that we go on yearly. They are ours to drink, so in the power of the Spirit who lives in us let us drink them until we are bursting at the seams with them! “We should treat them [spiritual blessings] like water that we need daily, not like a vacation that we go on yearly.” Amen and amen. Lord, cause me to thirst for you more each day! Thank you Robbie for this uplifting post!! Amen, Ephesians is awesome. So much about our identity on those pages. Thank for sharing!